Alexander Rose Ocean Pearl Fiji Table: The Fiji 0.8m Table by Alexander Rose is part of the high quality and attractive Ocean Pearl Collection a perfect component with other garden furniture. 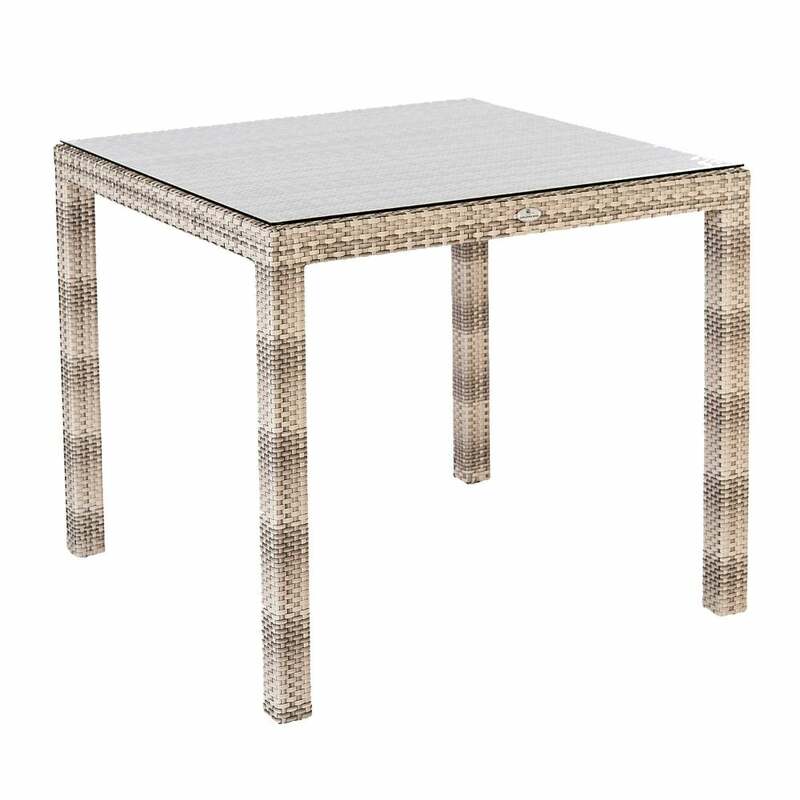 The Alexander Rose Fiji Table features a traditional light, basket pattern weave with 7mm flat rose fibre in mixed pearl tones, woven onto a powder coated aluminium frame to suit any outdoor space. The Ocean Pearl Fiji Table features a tempered glass table top for a maintenance free design whilst showing the beautiful weave pattern below.